This week I am sharing with Penang photos from my 2014 visit. 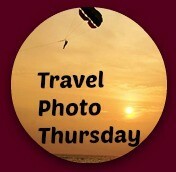 Welcome to week 272 (4/7/2015) of Travel Photo Thursday. I’m buried in essays and quizzes and trying to stay healthy. Cold and flu are making the rounds in my classes, and the faculty lounge. Whether or not I manage to dodge one, or both remains to be seen. I have to say that travel is the furthest thing from my mind now. I can’t remember the last time I said or thought those words! 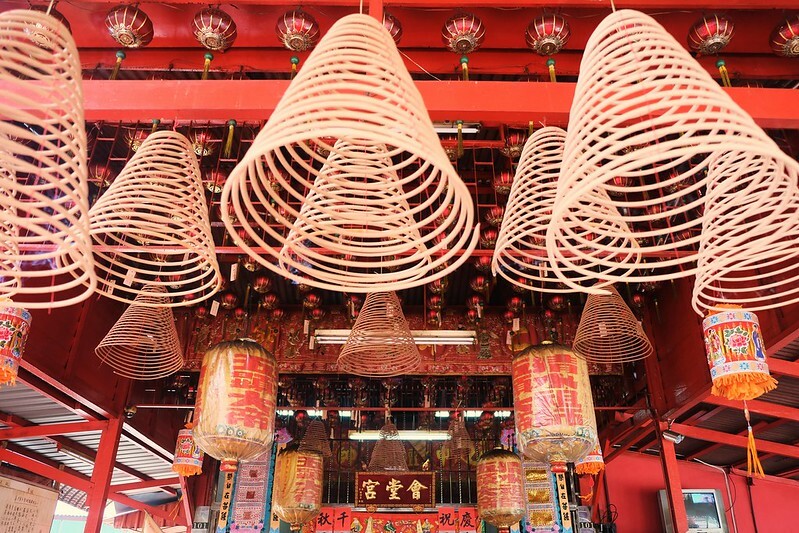 Enjoy this selection of Penang photos. I was in Penang during ghost month, so there was a lot happening at both the private and public temples, plus the Georgetown Festival. 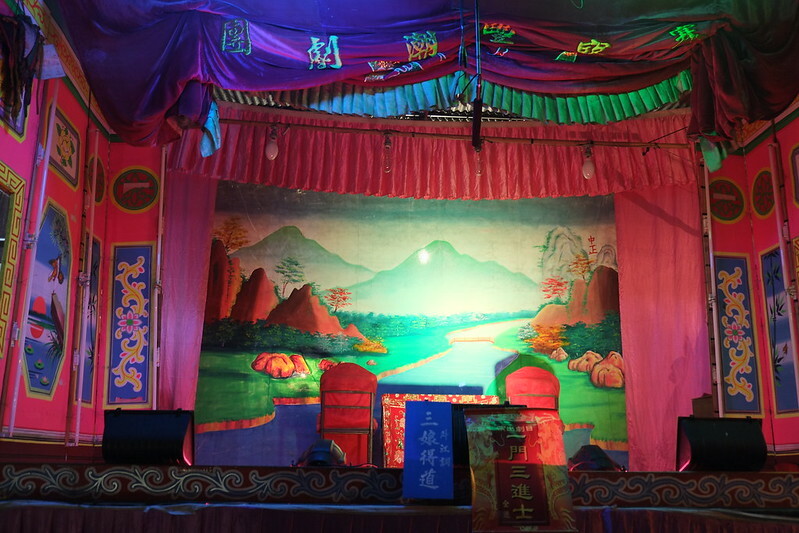 Lanterns often shared center stage with the incense. 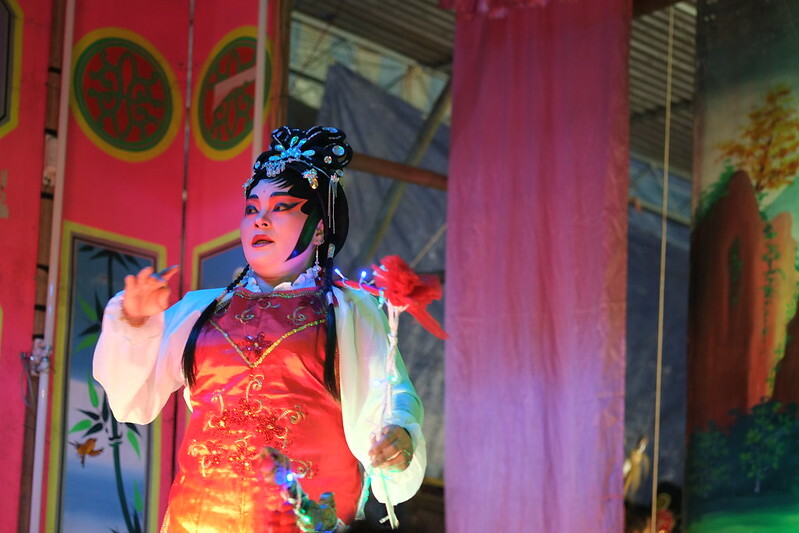 There were elaborate Chinese opera productions in every neighborhood. Lots of loud screeching singing going on in Chinese. Definitely, a love story gone wrong. The treat man was making his rounds in Georgetown. Last, but not least, one of my favorite Georgetown wall murals. Of course, it’s a cat! I hope you enjoyed this selection of Penang photos. If you go, Ghost Month and the Georgetown Festival are both big drawing cards and well worth experiencing. For a moment I had to think how you did that photo of the man eating!!! I hope you don’t catch the cold bug. 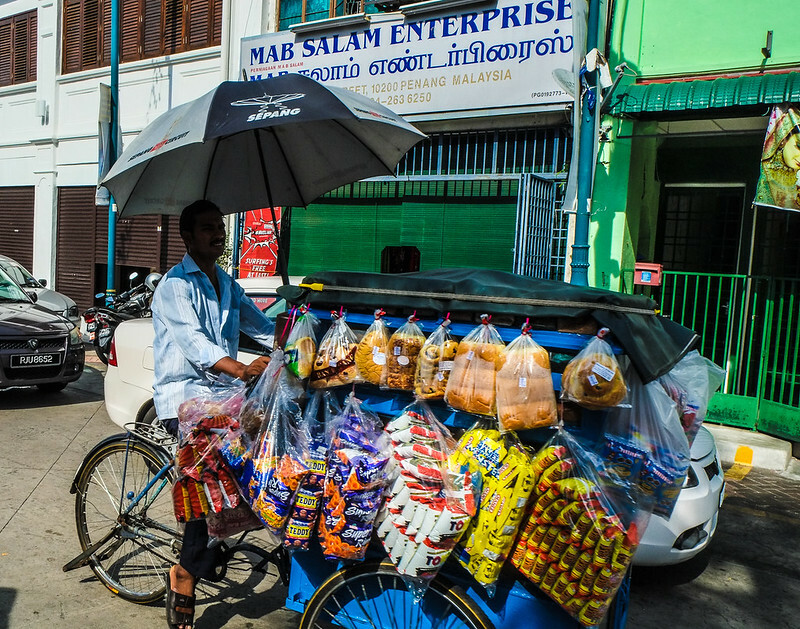 This is a great collection of Penang photos. 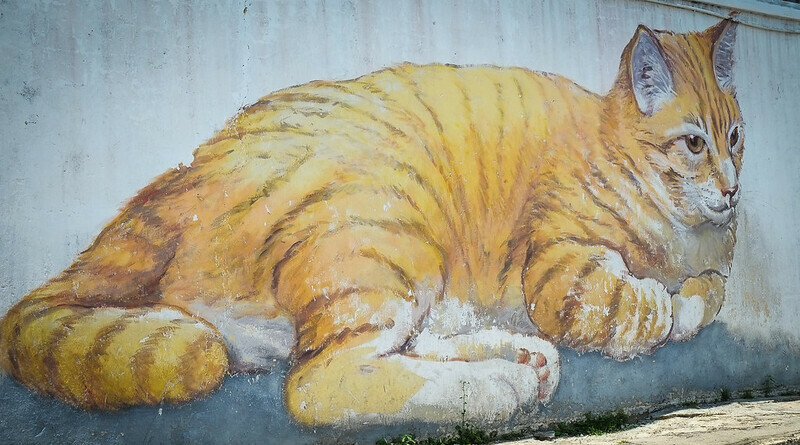 I’ve always admired the street art whenever I see them on Penang blog posts. It looks like a wonderful place to visit. I enjoyed all of these photos Nancie. I think I would like Penang, especially after all the posts that Michele from Malaysian Meanders has done on it too. That is a huge cat mural! 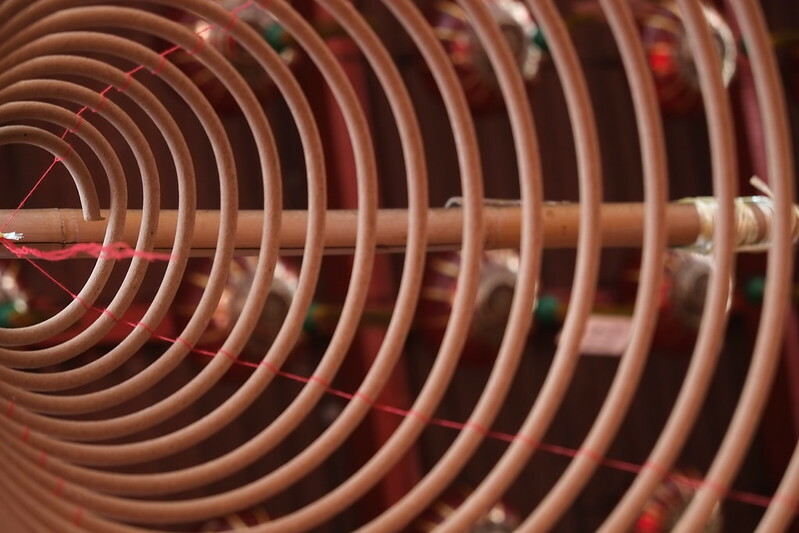 I love spiral incense candles and when they are lit, they’re so atmospheric. I know what you mean about the screeching, I mean singing. All this photos are very interesting. I have not heard the term “ghost month” before. It should be kind of difficult to attend a performance where you do not understand what they are saying. We were in Penang recently and enjoyed an afternoon walking around the Old Town of Georgetown. We saw many murals and the city was preparing for Chinese New Year so was decorated in red paper lanterns absolutely everywhere. I’ve never heard of “ghost month” but is sounds intriguing. We almost headed to Penang a little over a year ago and then decided on a detour to Europe. 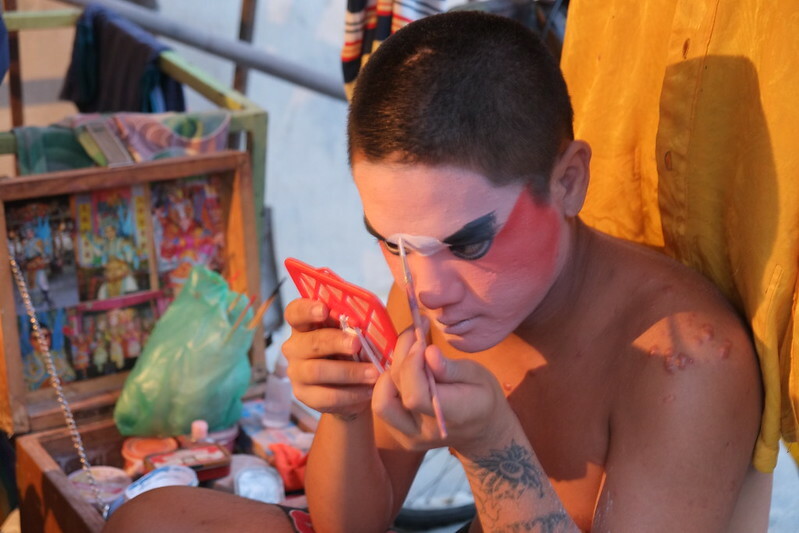 Your photos of the festivities in Penang make me think that we need to think about rescheduling a trip to Malasia! 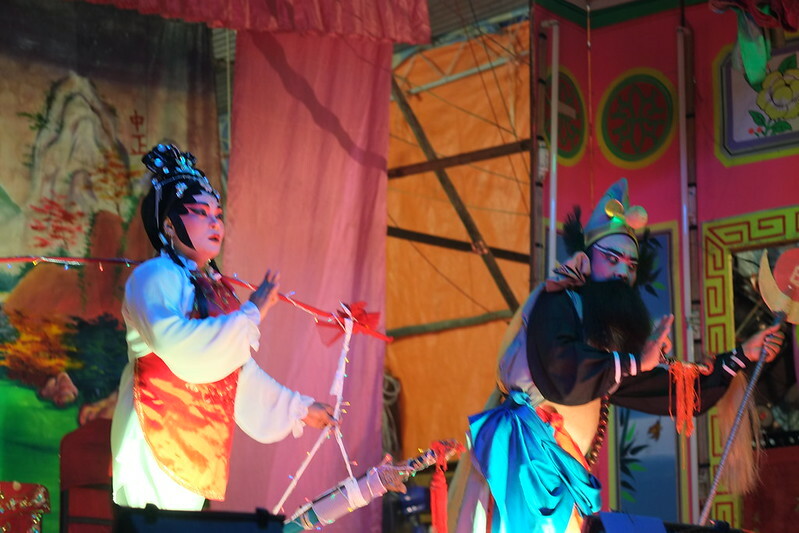 I so love the behind the scene photos of the Chinese Opera actors. They remind me of the images of one of my favorite Nat Geo photographer that were shot behind the scene of a Japanese opera. 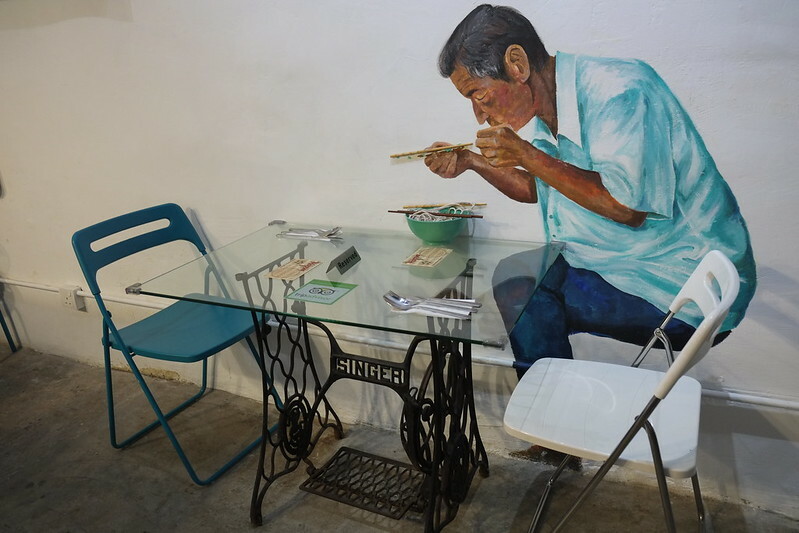 Always love the clever street arts of Penang and that one of the man eating soup is really amazing. Lovely photos, Nancie. Thanks for sharing them and for bringing us with you in Penang. Ghost month was one of the first holidays I experienced in Penang. There was a very loud Chinese opera performance going on next to the hawker stall where my husband ate lunch. He commented to his Malaysian coworkers that it seemed strange that NO ONE was in the audience. The coworkers told him that the performance was for the benefit for the ghosts, not the living. Isn’t that cat mural surprisingly huge? I don’t think I ever saw the one of the man eating soup. There always seems to be new art popping up.